Clay therapy is held in high esteem in alternative medicinal systems like naturopathy and Ayurveda.For long, clay and mud packs have been used to cool the body. Naturopaths insist that clay has a wonderful and unique property of absorbing toxins from the body. According to them, the significance of clay or mud as an external therapeutic agent rivals that of water itself. If we look back in time we find some references about the legendary queen Cleopatra’s penchant for bizarre and uncommon beauty rituals. Clay or a mud pack was also one of her favorite beauty aids, which she used for a tightening effect. 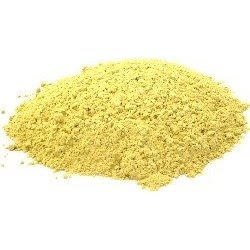 Nearer home, we have Multani mitti (fuller’s earth) (Buy from here. 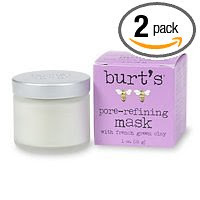 )that is being used as a cleansing face pack and which works wonders with oily skin. This face pack absorbs excess sebum and removes deep-seated dirt and grime and hence it is highly recommended during the hot summer months. Many nature cure spas these days offer their clients the sublime experience of clay packs to relieve tension, to get relief from pain, heal wounds and also as a cure for several diseases like fevers, migraines, indigestion, constipation, diarrhea, joint pain, arthritis etc. Clay eyepads can be used to soothe your eyes. Endless hours of pouring over your computer, working under polluted conditions and indiscrete television viewing during spare time puts eyes under undue strain. No doubt you have to exercise some restraint over your daily activities, but you should also make it a point relax with clay eyepads in a dark room, whenever your eyes feel tired. Though there are compelling reports of clay treating infections, skeptics often call this as pseudo science and frown upon these evidences as purely anecdotal. However, researchers investigating about the properties of a certain type of ‘French clay’, which are mostly made of minerals have made some breakthroughs and found some evidence that this clay is a highly effective weapon against deadly flesh-eating bacteria like the MRSA and other deadly bacteria including salmonella, E. coli, and a flesh-eating disease called buruli, a relative of leprosy which disfigures children across central and western Africa. If this research into the effectiveness of the French green clays, realizes its full potential it is believed that this ‘French muck’ will soon be the next big thing and will be placed on par with ‘pencillin’ or even rival it in its efficacy. Great tips; it's so important to keep up this ritual. Thanks for sharing! Mudpacks are the most common form of beauty treatment used extensively around the world by women. Mudpacks are produced by some of the top beauty brands with easy to use instructions. Over the years there have been a variety of mudpacks introduced in the market. Due to this, most skin types can find the right pack at the right price. The Mudpack has to be made in to a paste before being applied on the face. However the Eye area and the lips are to be avoided. Usually most packs are left on for anywhere between 15 to 20 mints before being washed off with luke warm water. It is always best to read the instructions on the pack. 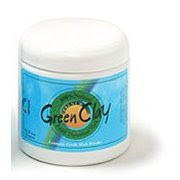 Clay is renowned to have many uses in promoting health in plants, animals and humans.Naturally absorbent and extremely gentle on the system, bentonite clay can treat various skin and internal ailments and attracts and neutralizes poisons in the intestinal tract. It can eliminate food allergies, food poisoning, mucus colitis, spastic colitis, viral infections, stomach flu, and parasites (parasites are unable to reproduce in the presence of clay). There is virtually no digestive disease that clay will not treat. It enriches and balances blood. It adsorbs radiation (think cell phones, microwaves, x-rays, TVs and irradiated food, for starters). It has been used for alcoholism, arthritis, cataracts, diabetic neuropathy, pain treatment, open wounds, diarrhea, hemorrhoids, stomach ulcers, animal and poisonous insect bites, acne, anemia. Clay masks are SO great! Especially for acne... whenever I break out I put a little bit on my acne before I go to bed, then rinse it off and put a little spot treatment on and it works in a couple nights. just use it Once a week or it can dry out your skin.